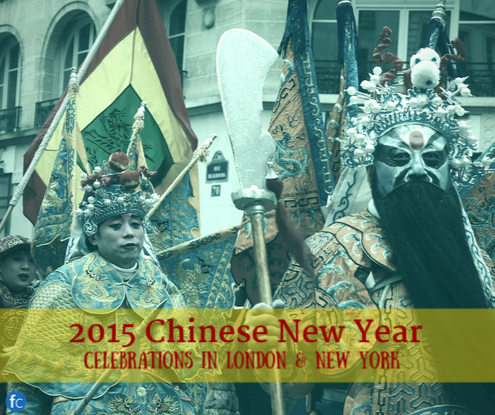 Chinese New Year is February 19th in 2015, and there is plenty of activity planned in London & New York’s famous Chinatowns. Coming to town for the Lunar New Year? We’ve got nearby London studios for under £70 a night and New York rooms for under $70. London’s Chinatown near Leicester Square can boast of having the largest Chinese New Year celebration in the world - outside of China, of course. Although February 19th is the official date, London waits until the weekend to really pump up the action! That way everyone can enjoy the festivities, which include special menus across the board in Chinatown, a huge parade, and plenty of stalls selling food & crafts. It’s the Year of the Sheep - does that mean big woolly scarves? Whatever you do though, don’t let being slow get your goat - make sure that you’ve booked in advance for a lovely traditional New Year’s meal. Special menus across the 100s of restaurants & cafes are sure to include amazing dumplings, whole fish dishes, and extra long noodles - symblizing prosperity & longevity in the coming years. Delicious & lucky, what’s not to like? New York’s Chinatown in Manhattan pulls out all the stops each year - with it’s own landmark parade & amazing food stalls. It all kicks off with the Firecracker ceremony - a tradition to ring in the new year with fireworks continues in NYC in a wholly more organized & stupendous fashion. Some of the city’s best competitive lion dancers, huge floats & fireworks, and a real convivial atmosphere make NYC’s celebration unique. Another exciting option in NYC’s Chinatown is a China Institute course in traditional dumpling making & lantern creation - a great pick for families visiting New York City during Chinese New Year. Whatever you’re doing for Chinese New Year this February, we hope that you spend it in comfort with loved ones - the most important tradition there is. It’s the 15th day of 2015, and in addition to calling your attention to some nice symmetry we’ve also written a quick guide for how to make money with a spare room. Whether you have found yourself with an empty bedroom in your flat because your roommate has moved out, or because children have moved out of the family home, a little extra income will be welcome, right? 1. Post on FlatClub - Did you see this one coming? Well, it’s true - posting your room on FlatClub will push it forward to over 75,000 members, many of whom are graduates of top universities or employees of international companies. Sounds like they could make for a pretty interesting roommate. Not only that, but our guests stay longer. They’re looking for 3 to 6 month stays for business trips, university courses, and internships. 2. Use LiveDemand - Our LiveDemand service is a way for hosts to send offers to guests. It’s a great way not only to gauge interest, but also to directly get your room booked. Take a look at who’s searching for a room in your area. See something that fits? Send an offer straight away. 3. Promote on Social Media - Once your room is listed on FlatClub, feel free to use the direct link to your listing to promote on your Facebook & Twitter. If you mention us, we’ll happily repost it to our Facebook & Twitter followers, as well! Those are our favorite ways to make money using your spare room. Do you have any extra tips that have made it easier? Share them on the blog, or tweet us @flatclubcom. 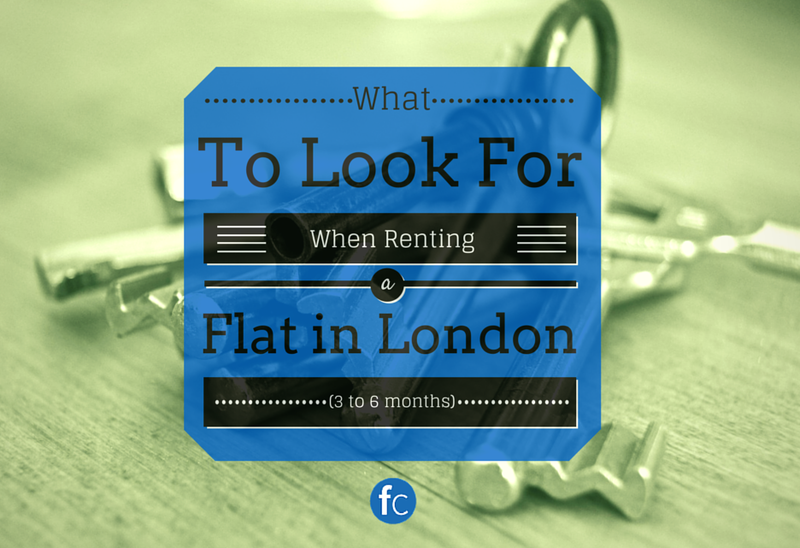 So you’ve decided to stay in a flat in London - but you’re not sure what to look for. With so many options for temporary accommodation it can be confusing - if you have an idea of what is most important when choosing a room or flat, it will be easier. We have our favorites - here's some great rooms in London for 3 months, and some lovely London studios for 6 months. Of course there are personal likes & dislikes you may have - so make sure that whichever room or flat you choose has an en-suite, cable television, or provided wifi if those are important to you. On FlatClub you can message hosts before you make a booking to iron out the details. How close is it to the tube? This is important for traveling around London. While being near a tube station in Zone 1 can be mighty expensive, you can save money by staying in Zone 3, for example, but near the tube station. Take full advantage of London’s great public transportation network! Listings on FlatClub display the nearest tube station, bus stop, or Overground train service on all flats & rooms. How close it to your office/campus/points of interest? While using public transportation is a fact of life for many in London, it is possible to find a flat where you may walk to campus, your office, or any other area of interest for you. FlatClub will show you exactly how far in kilometres any room or flat is from your specified location. For instance, if you want to find a flat near the London Business School campus, search ‘London Business School’ and every flat that is brought up will show you the distance from LBS. You can sort by distance on your search results, as well. What household goods are provided (linens, towels, cutlery, et cetera)? If you’ll be staying for an extended period of time in a property, it’s worth your while to find out exactly what is provided for day-to-day life. In the amenities section of the listing on FlatClub, you will see whether or not linens & towels, kitchenware, and other such goods are provided. If you still have any questions, you can always ask the host. Many hosts are also open to providing these goods for you during your stay, if they are not currently in the property. This is a great question to ask your host. As check in times can be so flexible, we don’t require our hosts to provide this information in their descriptions although some do. To be sure, write to your host and find out what sort of time can work for the two of you. 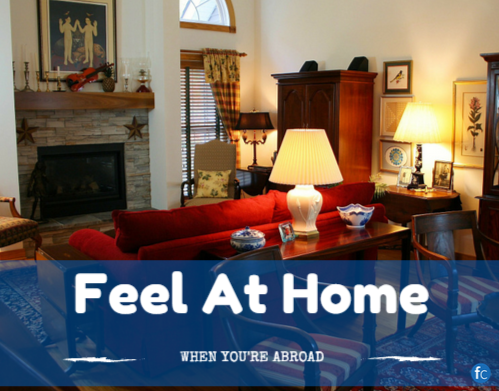 Will your host be staying with you - if so, what is their lifestyle like? Of course it’s important to know whether or not the host will be staying with you in the property - some people are more comfortable being left by themselves to figure out things, while others prefer to know there is someone waiting at home, as temporary as it might be. Many of our FlatClub host's write a brief description of themselves on their profiles, but feel free to message with any further questions! These are some of the main things to look for when renting a property in London. Do you have any other advice for those looking to stay in London for a month or two? Let us know and we’ll share it on the blog & Twitter!